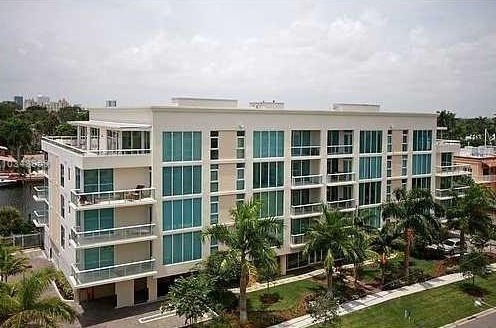 The 45 Hendricks community is located in the beautiful city of Fort Lauderdale, Florida. This luxurious and exclusive four story building is positioned directly on the Intracoastal waterway offering 14 condos for sale located at 45 Hendricks Isles. Each condo is starting at about 1,878 to 2,068 square feet with expansive and one-of-a-kind direct water views from 10 foot floor-to-ceiling glass in the massive living area and kitchen. You will be able to enjoy the Intracoastal, the Deep Water Wide Canal, and sunrise right from your residence and 481 square feet balcony. In addition, each condo has top of the line Wolf & Subzero appliances and smart home technology. Plus, each unit is assigned a boat dock within a no wake zone! Moreover, the 45 Hendricks building is pet friendly. The floor plan and layout provides numerous amenities in the building. This offers a perfect place to gain the serenity of a prestigious and luxurious location in the beautiful city of Fort Lauderdale ranging in price from $1,000,000 to $1,700,000. Being part of the 45 Hendricks neighborhood provides the local residents a tropical paradise lifestyle, known only to tourists as the perfect vacation spot. In addition to scenic downtown and ocean views of the Fort Lauderdale beach coast, you’ll have outdoor activities, beautiful beaches, top notch shopping and an entertaining nightlife at your fingertips. Click any of the buttons below to view the current active listings available of 45 Hendricks Fort Lauderdale Condos for sale or 45 Hendricks Condos for rent in Fort Lauderdale. If there is any condo you would like more details about the 45 Hendricks community, call us at (772) 334-8600 or email us.